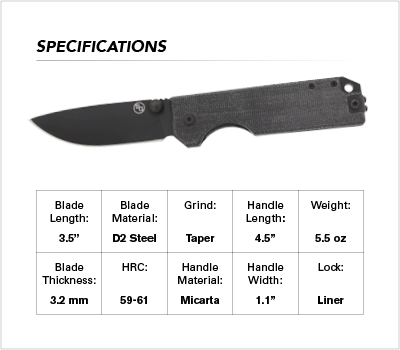 A premium micarta folding knife that boasts old school ruggedness in a modern design! Featuring canvas micarta handles for a luxurious look and feel, a super strong and razor sharp D2 steel drop-point blade, oversized thumb studs and a low profile tip-up pocket clip. The Ausus is ready to become your new go-to EDC knife! I really like my brown ausus. It's got a clean, simple design but this tool is a serious workhorse with a razor sharp blade and awesome clip. I might just have to get one in each color to complete the set! I make knives, I use knives, I teach people how to use knives in martial and survival settings. I came across this knife after a student of mine purchased me a Stat Gear tactical pen. I was so impressed with the pen and it’s design that I looked into their other products. Now I must say until I was given the pen as a gift, I never took pens as a serious self defense tool. But SG changed my mind. Coming across the Ausus I was curious if there knives would excite me as much as the pen. Upon opening the box and pulling the Ausus out I knew I was going to be happy. However, once I flipped the thumb stud and it flew open like butter... I was very impressed. This knife does not disappoint. 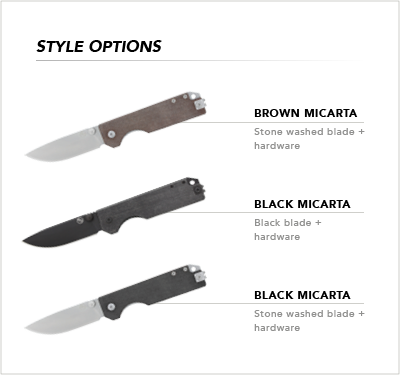 From the miacarta handles to the d2 blade and smooth ball bearing opening... just wow. Funny story, I actually put it through my ankle straight to the bone, super clean cut, couldn’t even feel it! Butter! This knife is impeccable! Now also keep in mind my EDC is normally a spyderco, Emerson, or benchmande. This knife will be replacing those for time to come! First Ausus, black satin, is a great knife with one issue.... getting the centering spot on, I just can't get it there. Second Ausus, black black, has no issues with the centering but does have issues with the detent. It's lighter than I would like and a couple heavy shakes will get it to unfold. Doesn't look like the detent ball sits in the hole enough. The dlc on the blade is also not perfect with several imperfections, but they're not bad enough to ruin the knife for me. I'd still recommend this as one of the greatest knives under $50. This knife is unlike any other $50 knife I've owned. Its hard to get past the low cost, due to thinking it is not well made, but fear not - this blade is made well, and is amazing for large handed folks like myself. This is one of the best products I have backed at Kickstarter, thank you team! The Statgear Ausus is a very sturdy knife. 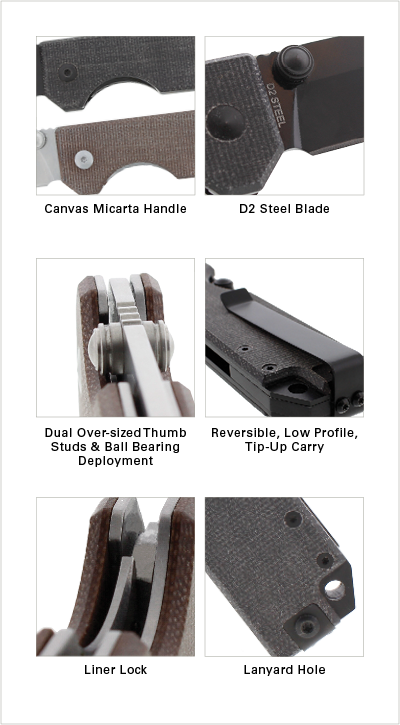 The blade has a good thickness and weight and it opens very smoothly due to the ball bearings in the axle. The handle’s texture is good, but I think it’ll feel more smooth when it has hand oils rubbed into it, the clip is strong and tight, but not too tight that it pulls your pants when you try to take it out. At first the safety mechanism was very hard to unlock, but as I open and close it, it’s getting less difficult to undo. Over the cours of two days of opening and closing TT periodically, the axle loosened slightly. It wasn’t a problem, but I am a little worried that it will need to be tightened periodically. In conclusion, it’s very good for the price. Beautifully designed knife with high quality materials. You get much more than you pay for with the ausus. It's heavy duty and has a smooth action. Received wonderful customer service, as well. A mistake was made on my order and fixed- they went above and beyond. Thanks CEO/founder Avi and staff! Purchased this knife because I heard so many good things about it. After receiving the knife, I wasn't disappointed! It's a great quality knife that feels great in the hand! The deep pocket clip seats nicely down in the pocket. The blade came really sharp in the box and I will be purchasing another in the near future! I just wanted to say just how impressed I am with the Ausus. I just received mine today and I can easily say that it is the best knife in its price category. I have handled many "budget" knives and I can honestly say that this knife doesn't even seem budget in the slightest. There are always more expensive knives but I feel that Statgear has succeeded where many of the high-end knives fail: you have produced a knife where its value far exceeds its price.